Record important business information in this professionally designed diary. 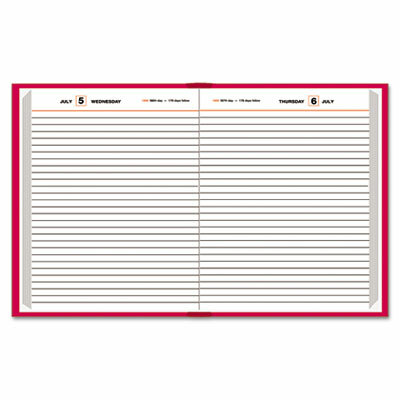 One day per page format offers plenty of space to jot down business details that need to be tracked. Faint ruling. Also includes a telephone/address section and monthly expense pages. 12-month (Jan.-Dec.). Julian dates. Vinyl cover is enriched with a moire pattern.